Hey everyone! I’ll be taking over for Gavin while he’s away the next few weeks in Cambodia. I know his are pretty big shoes to fill, but I hope you all will enjoy reading my thoughts and sharing your own on this crazy show! Let me first start out by saying, I think this has been the weakest episode so far for 6A. I understand that there are usually a couple of fillers, not every episode can be a show-stopper, but I was kind of expecting a bit more from their self-proclaimed “Summer of Answers”. The only redeeming thing about this episode was the huge clue we got at the end and the set up for the next few episodes. Other than that, this episode didn’t really give us much of anything except a bunch of dead ends. I’m only sort of joking about that, don’t worry! I love Emily, I really do. But her storyline this season has been terrible. The introduction of yet another love interest was a mistake, in my opinion. Not only that, but subtlety is definitely not the writers’ strong suit. Right from the start they've made this Sara and Emily storyline so painfully obvious. Why can’t Emily just be her own person?? To me, she’s one of the strongest characters on the show. She handles things well, she’s mature, she’s smart, she always seems like a grounding force for them all. She is capable of being on her own - of carrying a storyline on her own. It’s just getting frustrating at this point. But maybe I would be more ok with it if it was a different love interest, which brings me to my next point. I DO NOT trust Sara. AT ALL. There is something so sketchy about her. Maybe it’s her demeanor after being locked up for so long that’s leading me to wrongly doubt her but I just think there’s something really off with her. This feeling was only reinforced with that whole “car accident” situation. Something about it didn't feel right and the fact that she was so quick to point the finger at Lesli’s car when we now know that Lesli most likely has nothing to do with it…I don’t know, it raised a lot of red flags for me. It seems like she’s trying to play the victim way too much so they’ll never see it coming when she stabs them all in the back (hopefully not literally but with this show, you never know!). Over the past couple of episodes Hannah has been frustrating me. She’s my second favorite character (after Aria) so I've been trying to cut her some slack. I know she’s trying to process and get over everything in her own way but it makes me sad that that involves pushing Caleb away. I was so happy when Hannah’s mom gave him the advice to just start treating her normally again. That’s exactly what she needs and I’m thrilled that they seem to be getting back on track and back to normal. 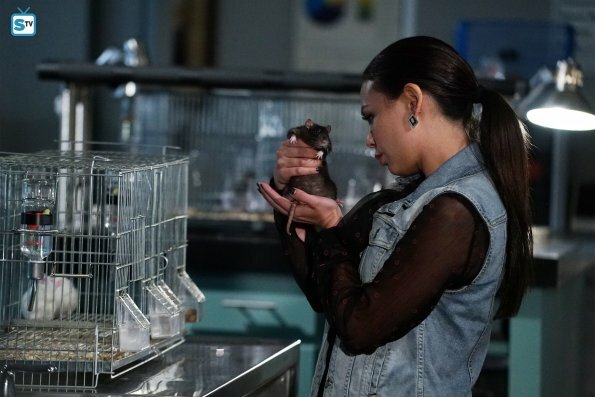 I thought it was so weird when they were in the lab and Hannah started letting all the animals out and then as soon as an animal gets out she freaks out. Didn’t she expect that to happen, why else would she open the cages? That whole animal part was honestly just really weird to me. These people have gone up against A and countless other creepy scary things and they're still freaking out over a cute little raccoon and some rats?? Anyways, moving on to Spencer. I don’t trust Dean. 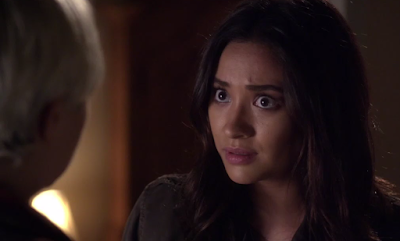 I thought he was okay for a bit until he started asking all these shady questions about Alison. But I’m going to tentatively give him the benefit of the doubt for now. I really loved how he finally called Spencer out. She missed a meeting and that got him really upset because he takes things seriously and she just doesn’t. She didn't even answer his calls, which led him to believe that something terrible had happened to her because, more often than not, that’s the case for addicts. But Spencer didn’t even realize this because, as usual, she was only thinking about herself and what she needed to take care of. I wasn’t surprised at all by Dean’s declaration of feelings for Spencer. I actually wouldn't mind it. I’d like almost anyone more than Toby at this point. I’m not feeling Spoby anymore and I haven’t been for a while, not since he was so obnoxious last season. Making him such a non-presence this season is not helping things either. I’ve almost forgotten about him completely. Finally, let’s talk about Aria, my favorite pretty little liar. I like how involved she’s been this season. A lot of the clues that have been discovered she’s been directly involved in finding or at least there at the time. 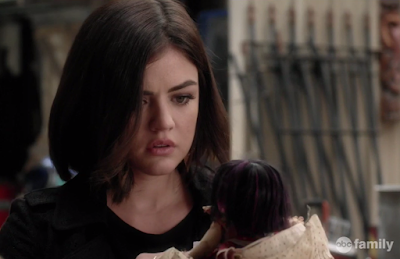 I do ship Ezria so I had mixed feelings about them this episode. I was happy Aria acknowledged that he was her person to go to in times of stress but I was also disappointed at the end when we saw him sitting with Emily’s friend. They seemed to be getting along really well and it’s starting to feel like one step forward, two steps back with them. Aria’s new photography friend, Clark, is an interesting character to me. He’s really nice and I like him…I just want him to be good so bad! I did trust him before, but then he started asking Aria a bunch of questions about how close they are to catching A and then suggested that they split up in a creepy junkyard where we know A has been. On this same trip she found a creepy doll which he could have easily placed there because he suspiciously was already there when they arrived. This is one thing I don’t like about this show. You can never just enjoy a new character because there’s always something sketchy about them and you can never trust anyone. I feel pretty confident that Clark is just a red-herring though because he wasn't around in the beginning or during season 3 so he could be a helper at most. I’ll wrap this up by laying out the new clues we got during this episode. There weren’t very many. So far I think they’re just giving us clues for red-herrings they’ve set up, nothing too substantial. The Liars learned something we already knew, that they had some kind of tracking device put inside them and that’s how A has recently been able to know so much about where they are. Part of me wondered if this tracking device has actually been around for much longer than their time in the dollhouse. A has always had a freakish sense of where they are, so it wouldn’t be too far fetched if they have been chipped the whole time. 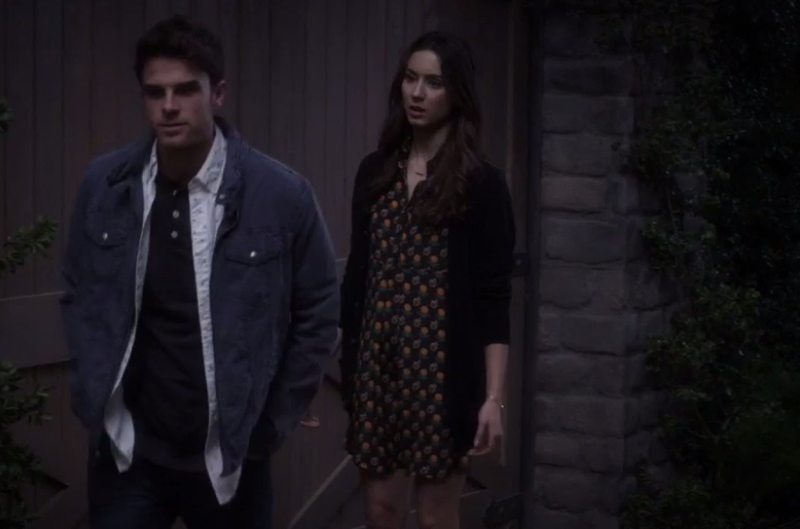 I’m just not sure when it would have happened, maybe even as far back as the night Alison disappeared?? But the biggest clue we got came from Mona. She shared that Lesli was in Radley the night Bethany ran away and that she wasn’t the only missing patient. Charles escaped that night too, which means that he wasn’t dead when those records said he was and the organ donation forms were all fake. So now we know that Charles is almost definitely still alive. But to make this revelation even more thrilling, earlier in the episode we got another interesting clue. Alison’s dad found a birthday card on the hood of his car and it really upset him. Right away, I thought that Charles had left the card, as I’m sure most of you did as well. 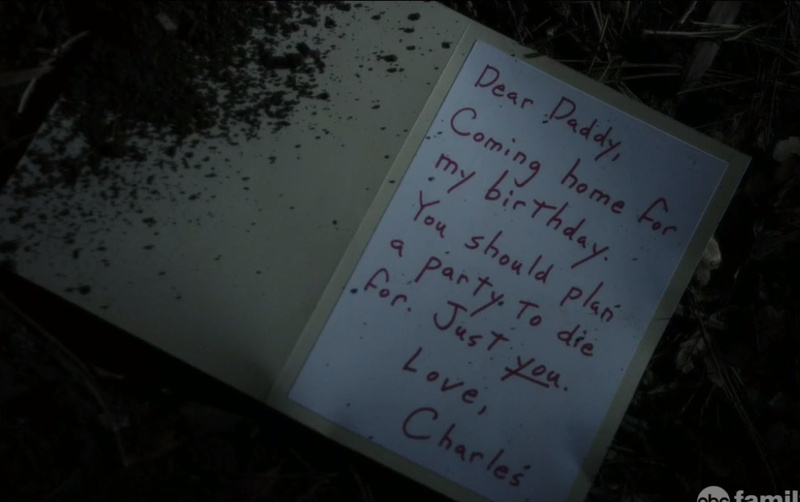 At the very end of the episode, we see Mr. DiLaurentes digging up Charles’s grave and the camera pans to the disturbing message written inside the birthday card. Turns out I was right, it was Charles that left the card and he’s planning on coming home really soon! Hopefully things start to pick up a bit for these last few episodes. There are still so many questions and answers that we need before we have closure and they’re running out of time! What are your thoughts on last night’s episode? Let me know in the comments and thanks for reading! 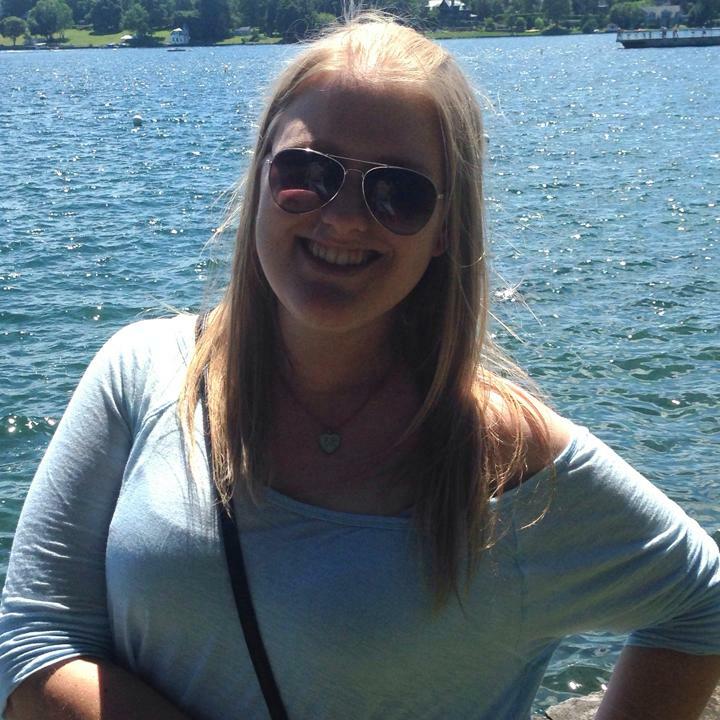 Kate is a 24 year old, USA based, Psychology/Public Health Researcher - but that’s just her day job! In her spare time she is an avid TV watcher (some may even say addict!!). Some of her favorite shows are Jane the Virgin, Bates Motel, The Flash, Chicago Fire, Chicago PD, Rookie Blue, Silicon Valley, Beauty and the Beast, Sleepy Hollow, The 100, The Mindy Project, Pretty Little Liars, Once Upon a Time, The Royals, Orphan Black…so pretty much too many to count and a huge variety! She’ll give pretty much any show a chance! She also devotes a lot of time to her tumblr (eat-sleep-breathe-tv.tumblr.com) where you can find her reviewing and commenting on most of these shows and just generally fangirling! She’s excited to be writing for SpoilerTV on Complications, Baby Daddy, Proof, Switched at Birth, Secrets and Lies, and Minority Report!